The hiring process in your eyecare practice can often be time-consuming, and sometimes downright frustrating when searching for the perfect fit for your next office manager, optician, or associate OD. But being prepared for every interview will help you save time when weeding through candidates, and will hopefully make the entire process go a little bit smoother. 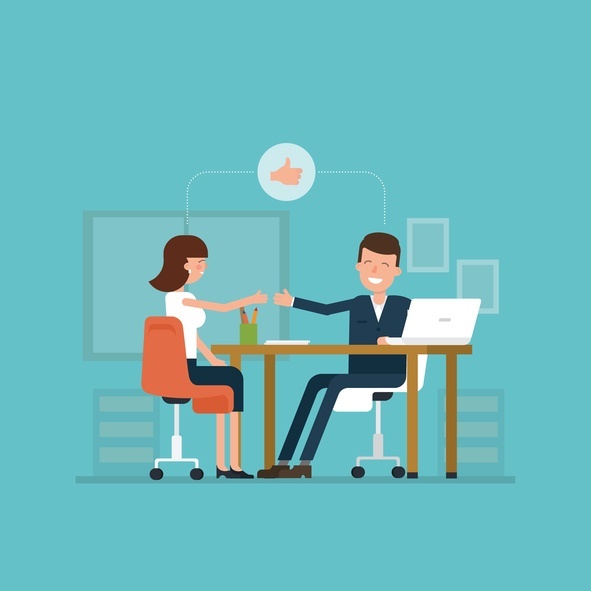 Part of being prepared is narrowing down the interview questions you plan to ask each candidate so that you can compare potential employees and find the right fit for your office. Today we will share 15 interview questions you should be asking for each of the different roles in your office. What are your go-to interview questions to ask? Share with us in the comments below. What do you think makes up good office culture? What was a difficult decision you made in your last position and how did it affect the business? What is something your former boss would say you need to improve on? In your eyes, what makes good customer service? What's your favorite way to educate patients? What skills do you think make for a successful optician? If the dispensary is slow, how would you use your time? Can you give me an example of a conflict and resolution you've had with a patient or colleague? What do you do with your free time when the schedule is light? What resources do you need to be successful? In what areas do you want to pursue further training? We know hiring, managing, and keeping loyal employees is a challenge many eyecare practices face. Stay tuned to the blog for more resources to help you navigate these challenges in your own practice.